A report in the Pakistani media notes that there has been a noticeable reduction in violence along the Line of Control in the Kashmir region since Rex Tillerson's visit. US secretary of state Rex Tillerson took up the issue with leadership of both Pakistan and India during his recent visit, the Express Tribune said. The US is quietly nudging Pakistan and India to re-engage as the Trump administration seeks to defuse tensions between the nuclear-armed neighbours, according to a media report on Monday. America's objective to normalise ties between the two South Asian rivals is part of its efforts to have a more focused approach on the Afghan endgame. US secretary of state Rex Tillerson took up the issue with the leadership of both Pakistan and India during his recent visit to the two countries, the Express Tribune quoting government officials and diplomatic sources as saying. "Behind the scenes, efforts appear to have started paying dividends since Tillerson's visit, as there has been a noticeable reduction in violence along the Line of Control (LoC) in the disputed Kashmir region," the paper said. The border between the two nations has been the scene of bloody clashes between the armies of Pakistan and India for the last couple of years. The current year has been the worst in terms of ceasefire violations as well as civilian casualties. Officials with the knowledge of the backdoor manoeuvres confirmed to the paper that the Trump administration wanted to see a lowering of tensions between the two neighbours. A senior official, who requested not to be identified because he was not authorised to speak to the media, said Tillerson had informed Pakistan that the Trump administration was willing to encourage a rapprochement between Islamabad and New Delhi. The surprise decision by Pakistan to allow a meeting between convicted Indian national Kulbhushan Jadhav and his wife was also being linked to the quiet efforts by the US. Pakistan, however, publically insisted that the offer was made purely on the humanitarian grounds. The former Indian Navy officer was sentenced to death after a Field Court Martial on charges of espionage and involvement in terrorist activities. Officials are reluctant to link Pakistan's decision on Jadhav as well as the brief lull in LoC clashes to the US intervention. They said it was too early to draw any such conclusions as the Trump Administration was still struggling to come up with a workable roadmap for Afghanistan and South Asia. 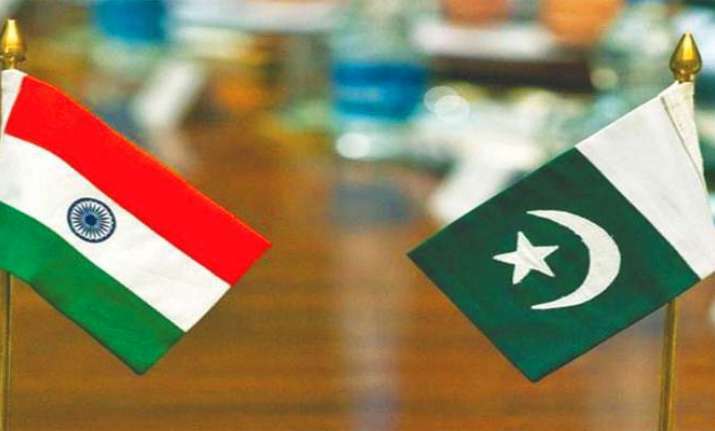 The official, nevertheless, made it clear that continued tensions between Pakistan and India would certainly undermine US efforts to bring some semblance of peace in Afghanistan. Historically, Islamabad has not been averse to third-party intervention, but India has publically opposed such approaches. The official said the Pakistani side had urged the US to use its influence over India for the resumption of dialogue after a number of terror attacks in India.